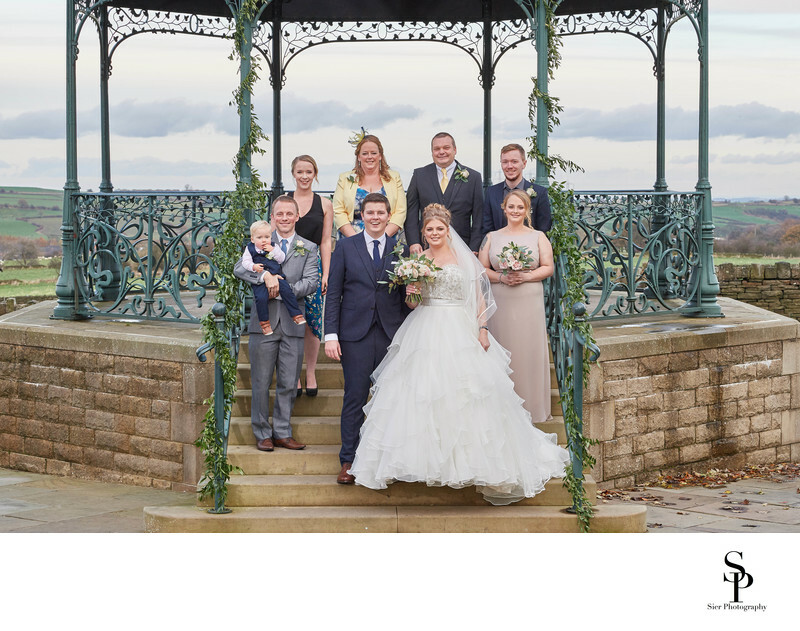 This was our first wedding at Cubley Hall Hotel, just North of Sheffield. This lovely venue is between Sheffield, Barnsley and Penistone in South Yorkshire and one I'd never come across before this wedding. The grounds have this lovely bandstand come gazebo which is a lovely feature to be exploited during our photography. The hall features a large barn in which the wedding ceremony, the wedding breakfast and the evening reception take place. The bride spent some valuable time with her bridesmaids in the bridal suite as she handed out some gifts to the girls and they chatted together before getting into her dress and walking down with her father to the wedding ceremony room in the barn. There are some very nice grounds with some tucked away areas to take pictures but it is the gazebo which forms the centre piece of the grounds with all the guests gravitating towards it for the pictures. With some luck we will get a return visit to Cubley Hall to explore the hotel and grounds further. The grounds allow for some fantastic views across the valley behind with many of the guests simply transfixed by the view, it is certainly something quite spectacular. 1/100; f/8.0; ISO 320; 70.0 mm.